I first learned how to knit during my internship at the Friends Hospital Eating Disorder Unit. 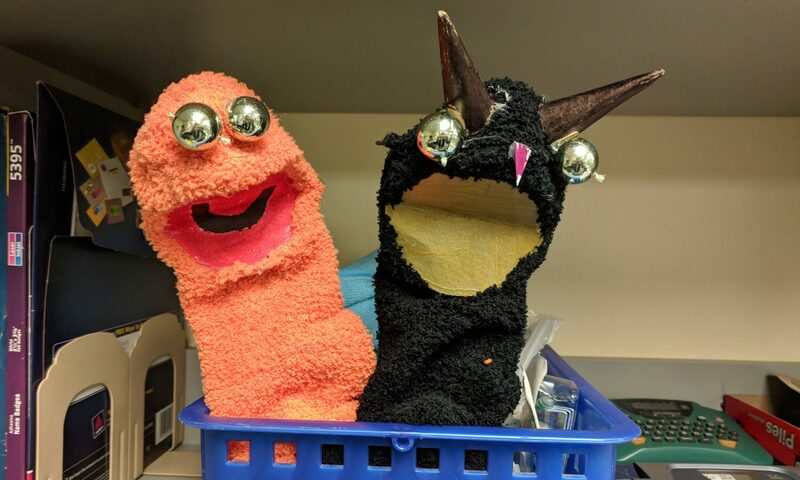 Knitting was taught to the patients as a way to build frustration tolerance, and later, once knitting became easier, it became a way of managing anxiety. Although knitting can be used as a way of managing anxiety, I did not experience it in this way when I first began. Learning to knit was a long process for me. It took several attempts and lots of patience before I was able to be successful at this activity. I also needed someone to sit down and teach me how to knit. For some reason I am never able to learn through pictorial instructions from a book. However, when I wanted to learn how to pearl, I was able to learn quite easily from a youtube video. Now that I have learned to knit, I’ve noticed that (especially when I am anxious) it helps to clear my mind of thoughts. It helps keep me in the here and now because I am concentrating on completing each stitch properly. When I stop, I tend to be less anxious than when I started and I am proud of what I have completed during that session. Perhaps my experience will change as I become more adept at this task. However, at this point I find that just switching needle sizes or the type of yarn is challenging, therefore requiring my attention in the present. I have also noticed that when I knit, the activity evokes memories of my grandmother. She was an avid knitter and cannot knit anymore due to Alzheimer’s disease, which has effected her ability to sequence. This reminds me that as an art therapist, you never know what the transference experience will be in relation to a specific directive. Furthermore, the ability for the art therapist to assess the ego strength and the cognitive abilities of the person they are working with is crucial.